← International Aid: Waste of Taxpayers’ Money or essential to Britain’s national interests? Many local Green Parties and party members are involved in campaigns to oppose the development of supermarkets in their area. We do this because we know that supermarkets lead to the closure of small businesses on the High Street which cannot compete with the aggressive marketing practices of the big business. They also encourage wasteful consumption, use excess packaging and generate huge ‘food miles’. As a result of their procurement practices, they are forcing the closure of many small farms and forcing yet more intensification of agricultural production. 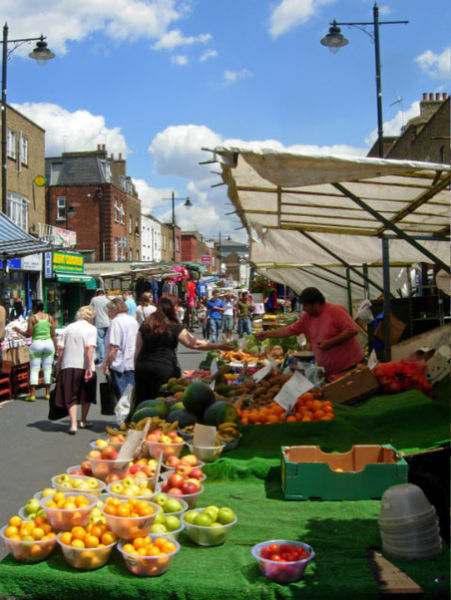 Supermarkets therefore damage local economies and lead to a loss of secure jobs. The Green Party therefore welcomes and initiative by Unlock Democracy to use the Sustainable Communities Act to enable Councils to charge a levy or local tax on supermarkets to help to mitigate the damage they are doing to the local economy and environment. With their immense wealth and sponsorship of some political parties the big supermarket businesses will fight such a proposal to the highest court. Ultimately it is up to us, the people to ensure that the supermarkets are tamed and that local business can compete fairly on a level playing field. Out ultimate sanction is that of boycott, successfully used in many consumer campaigns. Large supermarkets have a devastating impact on local jobs, the environment and local businesses. It seems like there’s no stopping this juggernaut from tearing communities apart. The good news is there is a solution, and you have the power to fight back and reverse this decline. Unlock Democracy is campaigning for councils to make supermarkets pay a new levy (i.e. tax) that will go back into helping local communities across the country. We can use the Sustainable Communities Act to achieve this. A levy like this has already been introduced in Northern Ireland – dubbed the “Tesco Tax.” The money raised from it has already helped over 8,000 small businesses over there. At the same time, supermarkets like Tesco are booming, making billions of pounds in profit. Supermarkets have huge advantages over local independent shops. They can undercut prices of local stores, use their colossal purchasing power to squeeze suppliers, buy up massive “land banks” to keep out competition, provide free parking at out-of-town sites and employ an army of lawyers and planning experts to make sure they get permission for new stores, even when local people object. It’s no wonder then that supermarkets have boomed whilst local shops and communities have been decimated. When a new large supermarket opens, hundreds of local jobs are lost. The environment suffers. Suppliers are squeezed. Local businesses struggle. This entry was posted in Community, Derbyshire County, East Midlands, Economy, Environment, National and tagged Environment, farmers, food, Green Party, jobs, local businesses, supermarkets. Bookmark the permalink.